I've been going to shows at the legendary 9:30 Club since I was a teenager, and have seen some of the best of the best grace that venerable stage. It is a pleasure to be offering a pair of tickets to several upcoming 9:30/IMP shows. A good many of us were exposed to Violent Femmes during our formative years, and have had the ribald racket in our ears for decades. 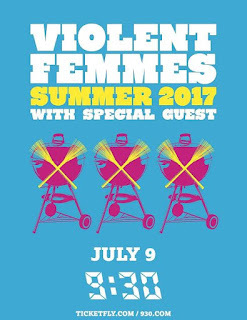 For those a bit younger, the Femmes are once again touring - and they're landing in town at the 9:30 Club on July 9th. I'm quite pleased to be able to offer one lucky winner a pair of tickets to see the magic happen live. 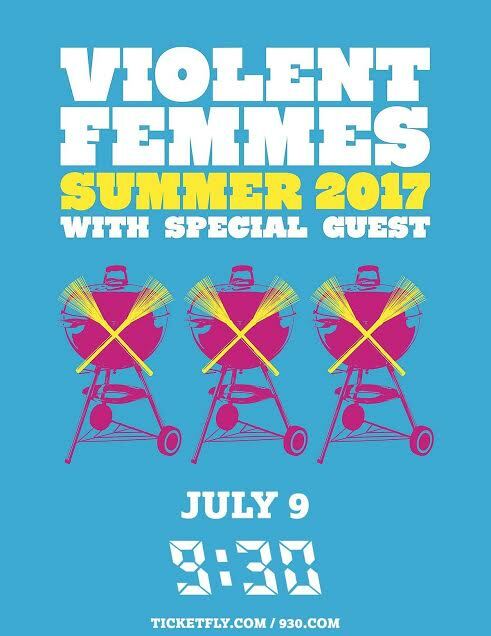 To win, tell me your most vivid Violent Femmes-related memory. 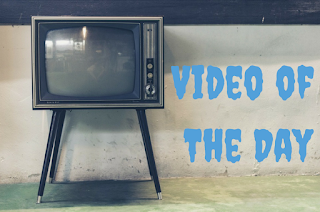 Perhaps it's a tale from your teen years. Perhaps it's a newer happening. Either way, email me and let me know. The most poignant story wins themselves the tickets. Fine print: Contest is for two (2) tickets to this show. Contest closes at noon Eastern on Friday, 7/7/17. Here's my favorite Femmes number to help inspire you. Good luck to one and all.